Translate text directly from your menubar. Oversetter is an translation app, which allows you to translate content directly from your menu bar. Oversetter is open-source application based on Angular and Electron. It uses free API of Yandex Translate for text translation. You can download the latest version of the application for macOS, Windows and Linux. 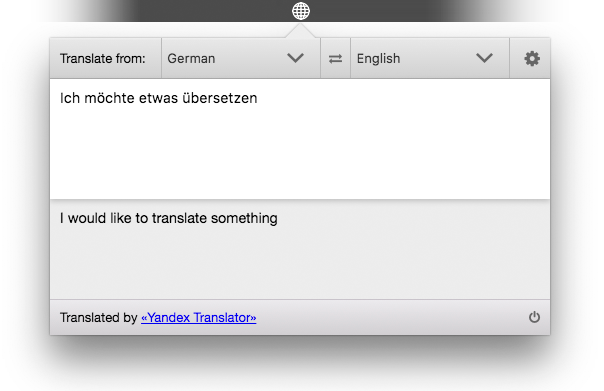 Register free Yandex Translate API-Key (or use built-in dev-key for the first time). See Projects-tab. Feel free to contribute!